Want the scoop on runDisney’s 2017 Tinker Bell Half Marathon Weekend held in Disneyland? Awesome, we have tons of scoops for you over on our Joyful Miles YouTube channel from the expo to half marathon with some chats about the 10k race bib bandit in between. Jennalyn Jaeger, the gal who shared her family’s Easter 5k tradition, joined us to talk about the Expo held at the Disneyland 5k. She also chatted about the controversial Never Land 5k that went through Disneyland and California Adventure … with no character stops other than a selfie station. 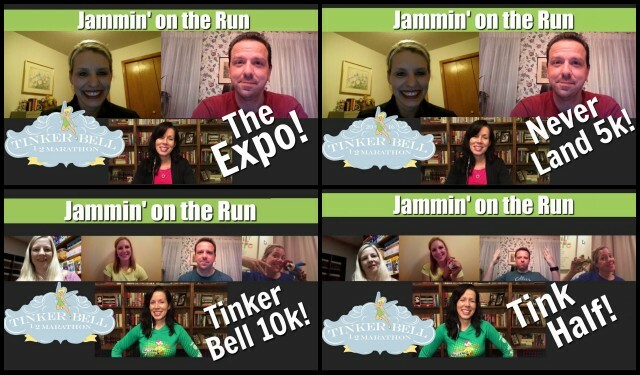 Nicole Schuster then joined us to talk about the Tinker Bell 10k, day one of the Pixie Dust Challenge, and we also chatted about the 10k Race Bib Bandit. She also shared her experience running the Tinker Bell Half Marathon, both of which were her first West coast runDisney races! Enjoy and feel free to share your experience with this race in the comments below. Next post: 2017 Buffalo Marathon with a Jeff Galloway encounter!